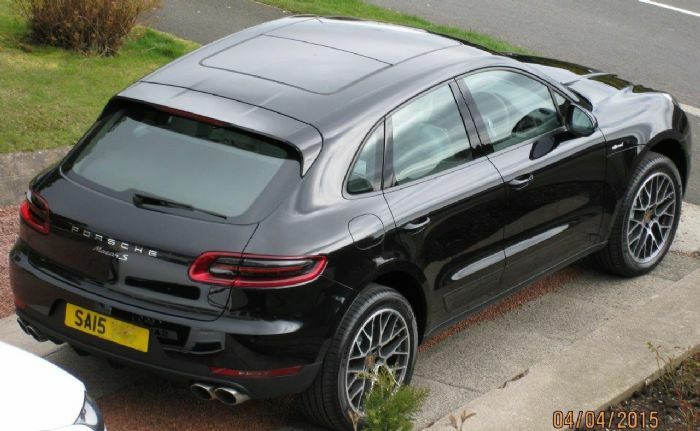 Finally the D-0 has arrived and I collected my brand-ceramic-coated-shining-new Macan Ski. I have done 100 mi so far and I am very smug! Here are my initial impressions, somewhat influenced by my current ride, BMW 435i coupe. I know, diff type vehicle, but it might be of interest to fellow 435i and S5 drivers. The control panel is beautifully laid out, I wish I selected beige/coyote-colour dials. The media/sat-nav/apps panel is good, but its designed by engineers for engineers (i.e. not very intuitive), but I will eat the manual and I will be fine. In my view the ‘retro’ ignition key should be replaced by Start/Stop button, but I will get used to it. The indicator lever also feels very mechanical, could be more electronic. The powertrain 5/5! I was a little concerned that power-to-weight ratio, throttle response at low RPM and 7- vs 8-speed transmission is not in Macan favour. Well, the torque kicks in a little higher than the beemer, but it is not like a turbo-lag from 1980’s Macan is a 2-ton vehicle and it handles its body remarkably well. I wish that Macan had a feature like the ZF transmission (found in BMW, Mercedes, Jag...), where when you move gear-lever to the left (M-mode) the transmission shifts one-down throughout the range and the lower-rpm flat-spot is exterminated. I am told that Sport button does the trick. I believe that Sport button has diff fuel-ignition-suspension mapping, where all I want is one gear-up throughout the range, without having to resort to paddle-shift. Hopefully the vehicle learns from my driving style and adjusts accordingly. Having said that, the power-delivery and performance is excellent! The transmission shifts quickly and precisely. AND the hooligan-exhaust button is such a blaaaast! It costs almost as much as 2-cylinders (the diff between 2.0L and 3.0L engine on the price-list) and I thought that I should have some rocks-removed from my brains for including it in my spec... the sport-exhaust was worth every penny! Overall, I am delighted! I don’t think GTS is actually required in the Macan Gen 2 range, but I can see the need for a Turbo derivative. Pivot, sounds good. I would be interested to see what spec you settled on. I also have an HK in my BMW, it is brilliant system. Last edited by Pivot on Sat Apr 13, 2019 9:39 pm, edited 1 time in total. So, I am off to main-land Eurp in my new Macan S... all I can say, what a blast! Packed two suitcases flat in the boot and I still have a lot of space for other stuff. I am thoroughly enjoying it. Initially I decided to keep my 435i, as it is worth more to me than the dealers are willing to pay, but I see the need to keep it slowly evaporating. I find myself using PDK paddle-shift more often than I would do in my beemer. I particularly enjoy the soundtrack of the V6 engine with the sport exhaust. When I floor it, I want to have audible feedback. The sport exhaust gives me just that, without being offensive! I am pleased that the back-fire is toned-down a bit when shifting to the next gear, I suspect that emission-control and particle filter brigade had a hand in it. The steering is superb. I prefer the less-assisted steering on the Porsche, it is more direct and provides better feedback than in my more-assisted beemer. Overall handling is very good for a Van, but I have not pushed it hard enough to give detailed feedback.